Just about the only TV station John Harter DIDN'T work for in his long career on Washington TV was WTOP-TV. However, we all had great respect for John and his excellent work for our competetors. 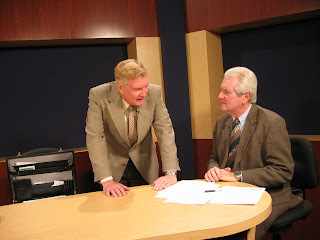 I think you'll enjoy seeing this interview that Chuck Langdon and I did with John for our OUT OF THE PAST SHOW that we do on Fairfax Virginia's cable TV. A veteran reporter, John Harter has covered greater Washihngton for nearly 40 years. His ABC 7 News/WJLA TV assignments included the morning anchor position, regular reports, business reporting, Congressional reporting, etc. 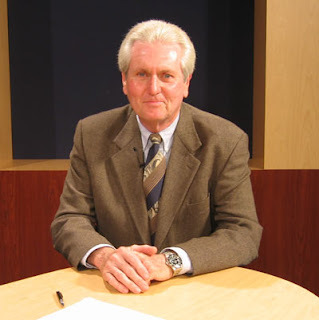 The weekly John Harter Road Test aired on WJLA and was syndicated nation wide . He's been honored by both an Emmy and a Silver Circle Award.